The Valentine “Heart String’s CWR Kit is now available! Don’t you just love Valentines, all the pink and reds and hearts! I remember making make handmade valentine boxes in elementary. Some were make out of shoe boxes and one year it was two paper plates sewn together and decorated! I just loved opening the little envelopes filled with bright colored images wishing me a Happy Valentine’s Day! The art piece created for the Valentine Heart Strings kit was inspired by the little BonBons that rolled and dance out of Mother Gingers giant hoop skirt during the Nutcracker Ballet I saw during the Christmas Holidays. Oh I knew would have to create a piece of art with the adorable little outfits! This kit was so much fun to put together! 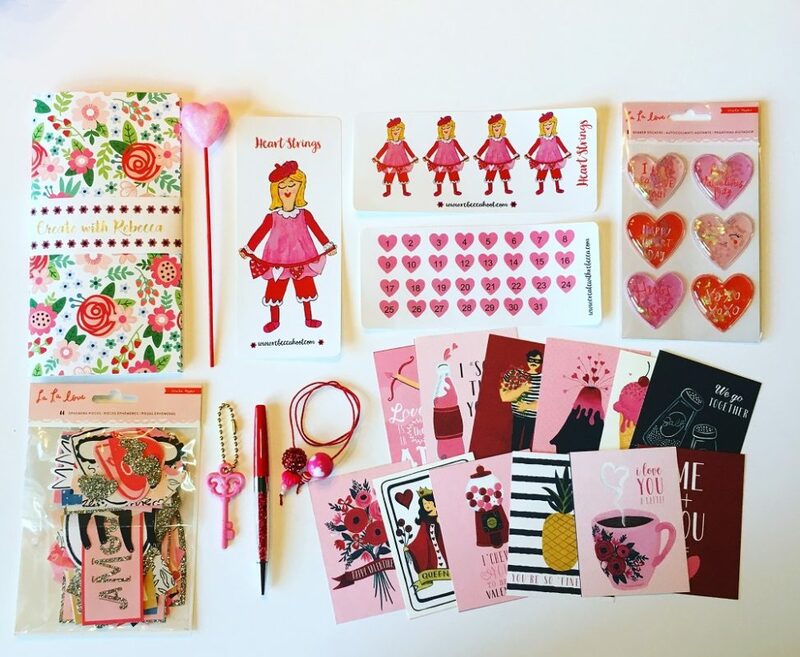 Each item is carefully selected and assembled to match a perfect little kit just for you or to send to a dear friend to enjoy!I wanted to have all the images and colors to pull on your heart strings this Valentine season. A special side note, there are prints available of the art work to create this kit. The Valentine Kit will take the place of the February Kit. See Shop to purchase you a fun creative kit!